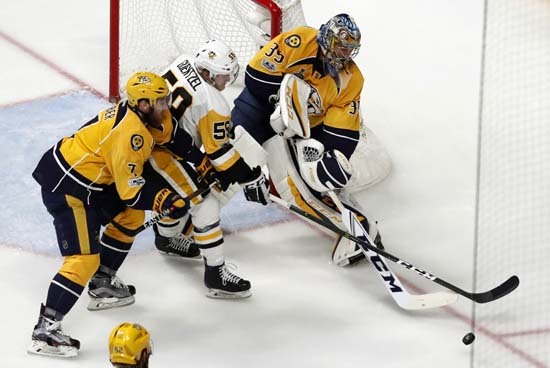 NASHVILLE, Tenn. -- The Predators' amazing, improbable playoff run finally is over. 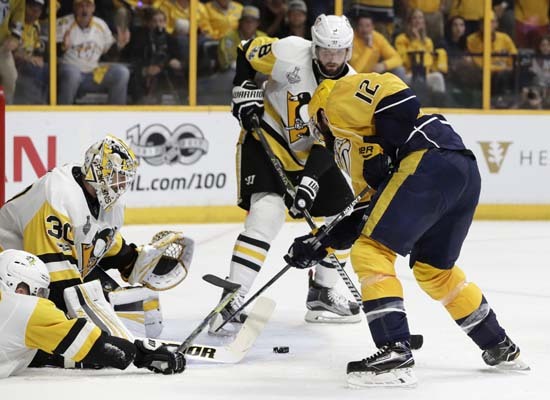 After capturing the hearts of Nashville's country music stars and tens of thousands more in and around Music City, Nashville's season ended at the hands of the Pittsburgh Penguins 2-0 in Game 6 of the Stanley Cup Final. 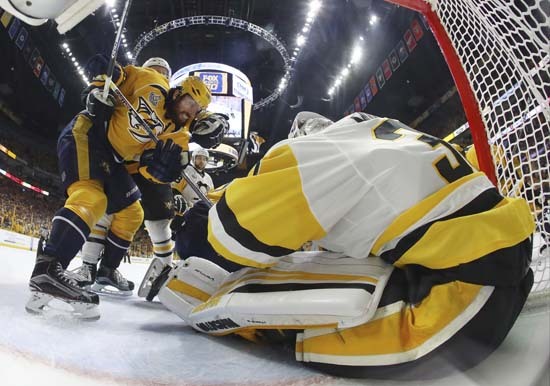 Not many gave Nashville a chance. 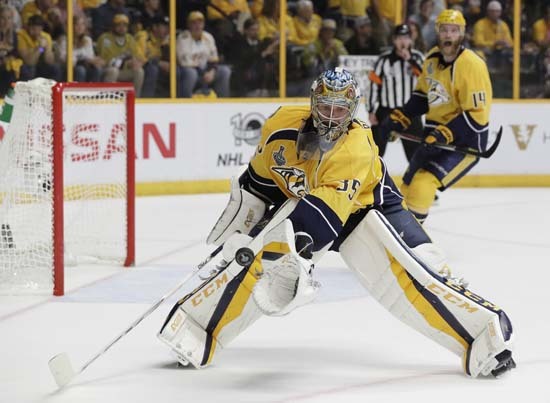 The Predators were the bottom seed in the West, seemingly unlikely to advance out of the first round much less be one of the last two teams standing. But Peter Laviolette's fast-skating bunch with the lockdown defense roared past Chicago in a sweep to get things started and shrugged off the home-ice advantage of St. Louis and Anaheim on the way to the first Final in the franchise's 19-year history - much to the joy of their catfish-tossing fans. 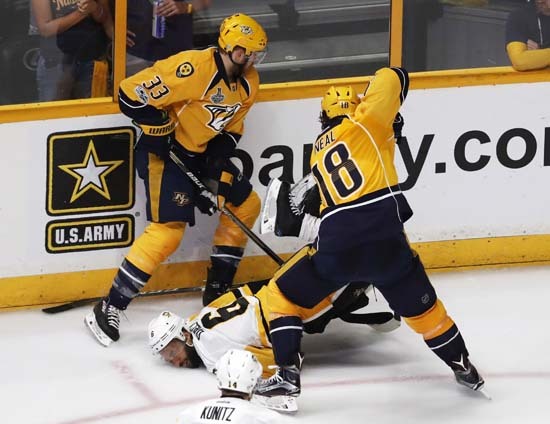 Injuries to forwards Kevin Fiala and Ryan Johansen opened the door for unsung playoff heroes like Colton Sissons and Frederick Gaudreau to not only get into the lineup but make significant contributions. Sissons recorded a hat trick in the clinching Game 6 of the Anaheim series. 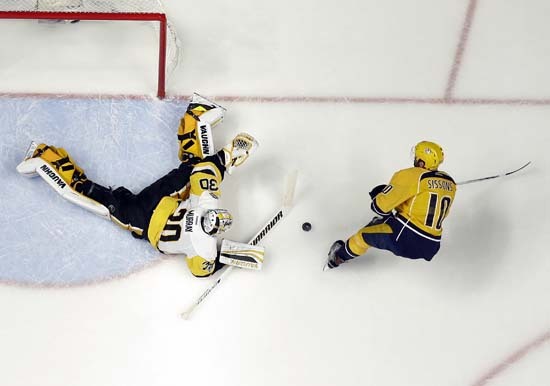 The undrafted Gaudreau scored Nashville's game-winning goals in Games 3 and 4 of the Final. Sissons had several chances Sunday. He had an apparent goal waived off in the second due to a quick whistle and was later stopped on a breakaway. 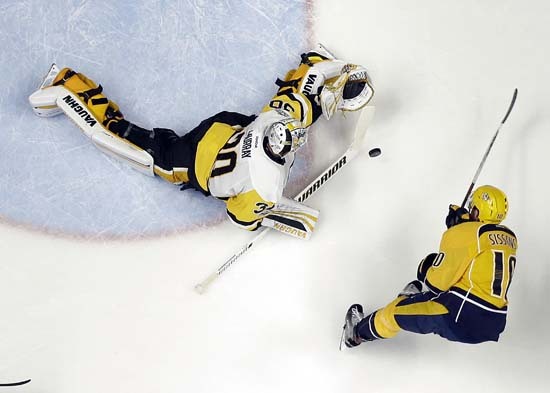 In the third, both he and Filip Forsberg had shots ring off the post. Nashville also had a 32-second, 5-on-3 opportunity in the third but could not beat Murray, who did not allow a goal in the last 126:52. 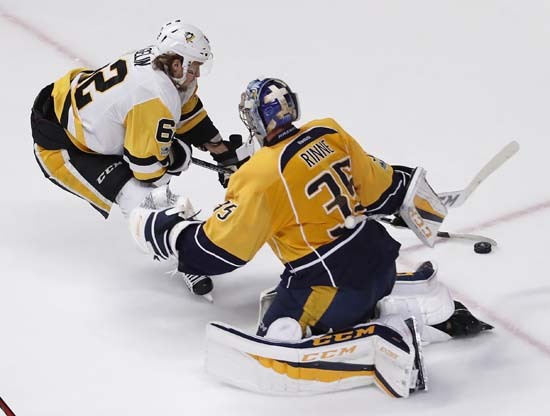 Including Sunday night's loss, the Predators were 9-2 at Bridgestone Arena this postseason. 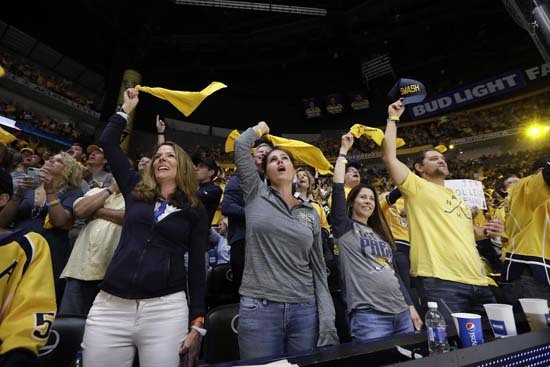 After selling out each regular-season home game, Nashville's fans not only packed the arena in the postseason, they attempted to blow the roof off of the building with their constant full-throated yelling beginning even before the opening faceoff. The hockey world was abuzz with talk of who would be the next country music star to sing the anthem at home games. The likes of Carrie Underwood, Kelly Clarkson and Keith Urban among others did not disappoint. Fans who could not get tickets packed the plaza outside Bridgestone and a nearby park to watch the games on outdoor televisions. In the Final, the city blocked off portions of Broadway, where estimated crowds of 50,000 gathered to watch the games. 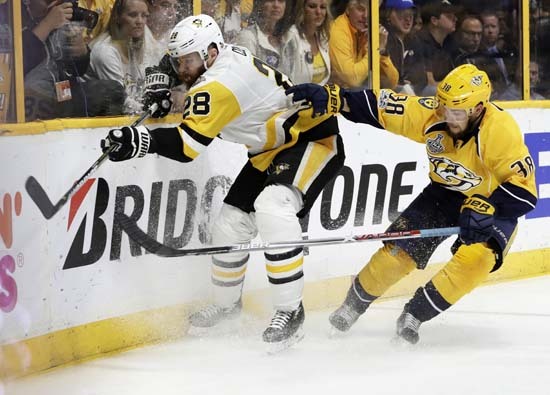 Around town, many jumped on the Predators' bandwagon, driving television ratings for both home and away games to numbers never previously seen in Nashville. "Go Preds" was a common greeting or goodbye. They should have plenty to cheer for next season, too. 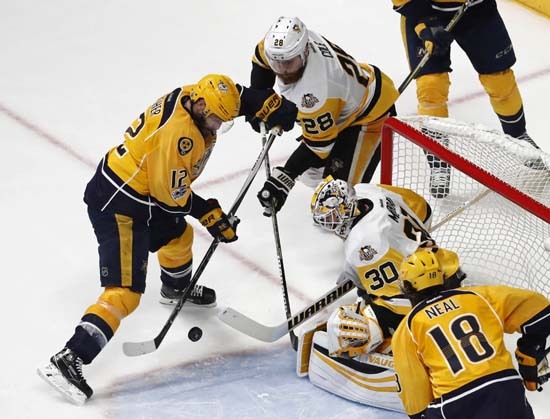 Approaching the shortest offseason in team history, the 2017-18 version of the Predators should look very similar to the one that made this deep playoff run. 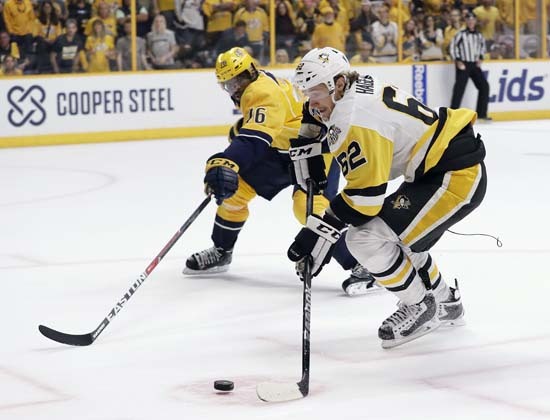 Two members of the team's top offensive line, Johansen and Viktor Arvidsson are restricted free agents, but the team has enough cap space remaining that signing them shouldn't be a problem. That duo, along with linemate Forsberg, are all in their early 20s. 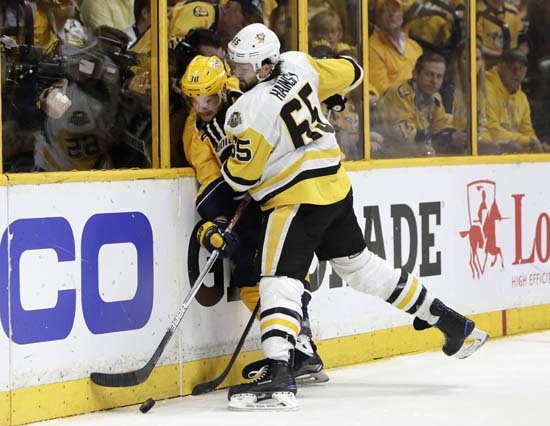 On the blue line, Nashville's top four defensemen of P.K. Subban, Roman Josi, Mattias Ekholm and Ryan Ellis are all signed for at least the next two seasons. At 28, Subban is the elder statesman of that group. Team captain Mike Fisher is an unrestricted free agent, but he seems likely to stay in Nashville if he wants to.